Any led meditations? ... or do you prefer ... nothing but yourself? I like a guided meditation once in a while, but often they don’t settle me in the same way as does meditation on the breath. The one is about directing the mind, the other about calming the mind altogether. I do both. I find guided meditation invaluable for working through and contemplating things When they are well done anyways, as some of them are just..there and have little substance to them. I also use brief guided meditations when I am waiting for a kid or whatever. I quite like Buddify for that, and find the non-American accents calming. I enjoy that they are set up for various situations. I did a guided meditation with my yoga teacher about forgiveness a few weeks ago that has allowed me to release baggage I've carried since childhood. Wonderful. I think that for me doing non-guided meditations helps me to process the guided ones better. I have to use the guided ones for a purpose rather than a distraction. 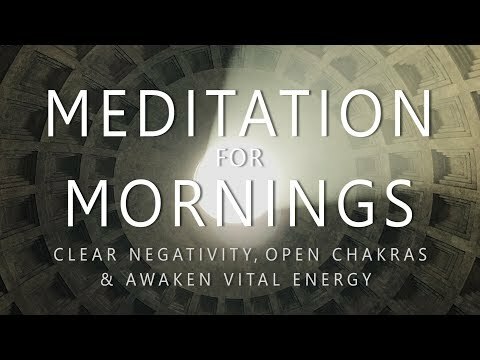 I like guided meditations occasionally for, let's say, working with the chakras or doing an overall yoga nidra to relax each part of the body. But in general, I find them distracting and almost as if defeating the purpose of meditation. In my opinion, the idea is to empty our monkey mind's cup, not finding a substitute pacifier to keep feeding it conceptual peanuts. I do anaylitical led meditations. Breathing mostly after but I cant learn to apply The Budddha's teachings if I cant think about them during meditation. It helps cause during the day I can reflect on what I learned about myself and it leds to a better nonguided meditation as a result. Both (led and more traditional formal) that many advocate is a good option. One enhancing the other. Loads here, some as short as a minute. No time to meditate? Pah! I have found them useful when being introduced to new practices, but a distraction subsequently. I've always looked forward to pre-sleep euphoria, but I've never heard of yoga nidra. I checked out Michael Sealey's youtube channel. "Conscious Fantasy Lucid Dreaming", "Deep Trance Mind Travel". That sounds like a fun way to fall asleep.